We all love New Orleans’ streetcars – they’re a huge part of our city’s charm. But as much as we love them, we know that our streetcars rarely operate on schedule, often show up back to back after painfully long waits, and that they’re not known for their speed. What you may not know is that with some simple design and operational improvements, our streetcars would provide greater reliability and get you to where you’re going more quickly. The RTA and their design team are hard at work on plans for the N. Rampart / St. Claude streetcar line. ACTION: Attend, speak up and join us in calling for the RTA to incorporate the following three items into the project’s design.Can’t attend? 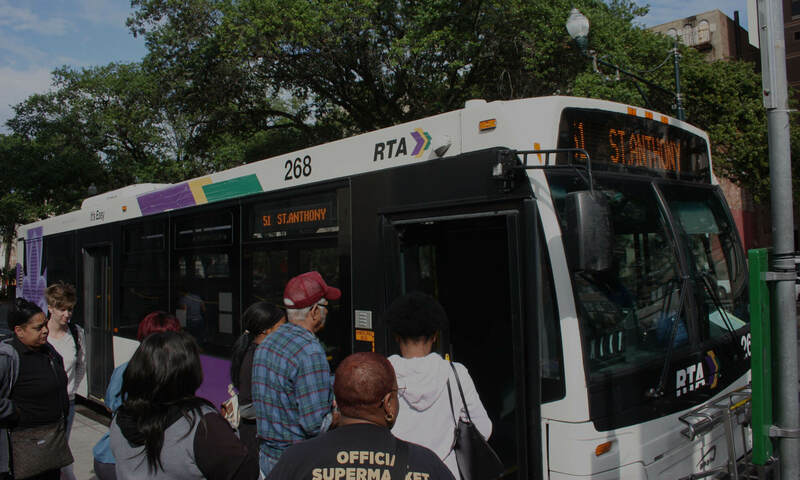 Email your comments to rachel@rideneworleans.org – we’ll make sure the RTA gets them. Thanks in advanced for giving your time and energy to this important call to action. Hope to see you there!